It can be tough to find companies that make and/or distribute reclaimed wood flooring. For one, reclaimed wood is not a big enough business to warrant more than the occasional brick-and-mortar store. In the online world. Also reclaimed wood's imperfect character doesn't easily compete with the nice 'n' neat bundled wood flooring favored by the majority of consumers. Lumber Liquidators might sell distressed or faux reclaimed flooring, but it is doubtful if it will ever sell the real product. This is a list of the most reputable reclaimed flooring suppliers who offer their product to retail customers and who will ship at least throughout the U.S. This Pennsylvania-based reclaimed wood supplier most definitely ships: all throughout the U.S. and, according to their site, "Israel, Singapore, England, Korea, Taiwan...Hong Kong," and presumably any other international destination. Reclaimed engineered wood flooring may sound like an oxymoron, but Aged Woods has just that: 3mm of reclaimed antique wood laid over a nine-layer substrate of plywood. Like other prefinished floorings, this product receives seven coats of aluminum oxide finish. 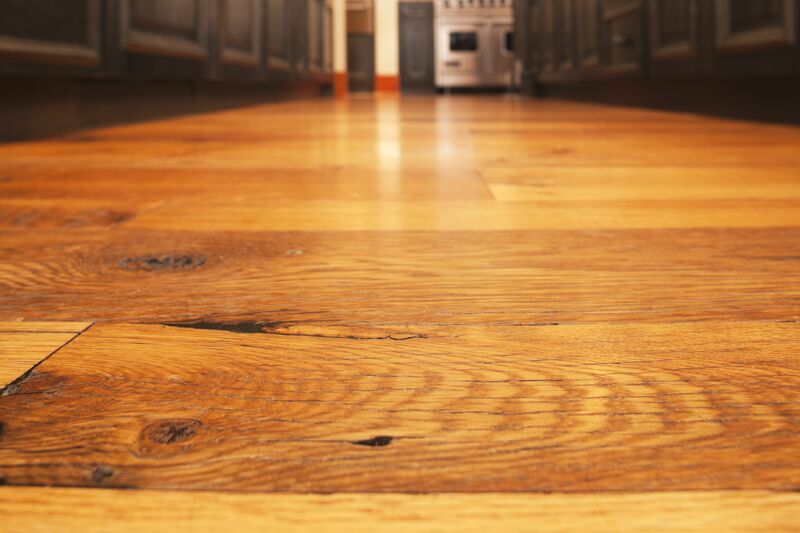 The beauty of reclaimed wood with the practicality of engineered flooring. Based in the Shenandoah Valley of Virginia, Jonas Hochstetler and family's company Appalachian Woods sells reclaimed wood flooring, lumber and beams, furniture, and millwork. Products are available both from their Stuarts Draft, VA location (near Charlottesville, VA) and online. Elmwood is based in Peculiar, MO, a small community just south of Kansas City. Odds are with you that you'll find just the kind of reclaimed flooring you want; after all, Elmwood has one of the biggest selections I've seen. Like other companies in the industry, Elmwood's mainstay seems to be high-profile commercial projects (The Gap, L.L. Bean, Starbucks, you-name-it), but they also do supply the residential market. For the truly authentic look, you can even get antique cut nails, tin, and stone from them. And like everyone else, they don't blatantly list prices on their site. One week after e-mailing Elmwood, I received a reply with a semi-secret link to their price list. When Brian G. Bellinger of Jarmak contacted me, I knew that he had actually looked at this article (rather than other PR people who send out robo-emails) because the message's subject was, "A reclaimed wood company that IS NOT sketchy!" He's right. Jarmak has the right pedigree: offices and lumberyard both in Massachusetts and a sawmill in Pennsylvania. No Shangai locations here. Jarmak has a number of the popular standbys of the reclaimed wood industry, like antique barn oak and heart pine. But you'll also find items unique to Jamak like their reclaimed Boston Harbor White Oak, which was "harvested from decaying buildings along Boston’s waterfront," according to their site. And if you're tired of seeing those commodity floors with boards that seem to be little more than 3 inches long, you'll be happy to know that Jarmak also offers reclaimed wood flooring in lengths up to 16 feet--yes, I said feet--for their Harbor Oak. Tennessee-based Reclaiming the Past (RTC) began when 13-year-old Tom Green, Jr. helped his father demolish a building in West Point, MS. The rest, as they say, is history. RTC does way more than supply reclaimed flooring--they have tin and barn siding, beams, brick, and more). But they're still most proud of their antique heart pine, oak, maple, and barn wood reclaimed floors. Diana Younts of RTC says that her company most assuredly ships within the Continental U.S.--as well as Hawaii, Europe, and perhaps any other place where there may be a willing buyer for unique/antique flooring. 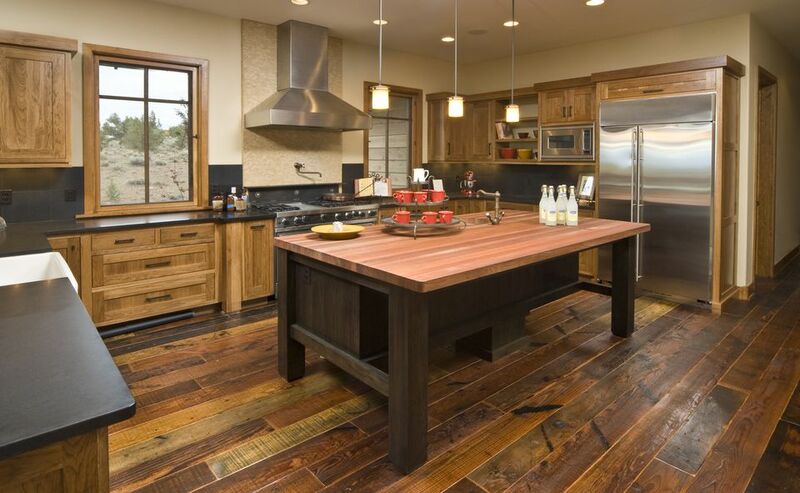 Like Aged Woods, Sylvan Brandt is another reclaimed wood flooring mill and distributor located in Pennsylvania. Begun in 1960 by founder Sylvan Brandt, this company is now run by son Dean and takes on the multi-pronged job of locating, pulling, milling, and distributing reclaimed wood floor. And yes, according to representative Genna Antes, Sylvan Brandt does ship all throughout the United States. One nice thing is that much of its flooring is actually derived from flooring--the attics of historic homes. So the surface you see is the original surface. One line from their site sums it up well: "[W]e don't offer perfection, but rather the beauty of imperfection." The Woods Company began when Barry Stup first observed barns in Maryland and Pennsylvania built with chestnut, "one of the rarest and beautiful native hardwoods," according to the company site. Stup decided that this commodity was too valuable to waste, and so he began The Woods Company. If you're looking for a wide range of products, you'll find it here: stair parts, white, yellow, and heart pines, and even reclaimed engineered flooring (species: oak, walnut, and heart pine). Theirs is by far the slickest site I've seen (though you'll need to contact them to find out prices).